Biomedical imaging has revolutionized medicine, granting doctors a window into miniscule molecular and cellular processes inside the body. 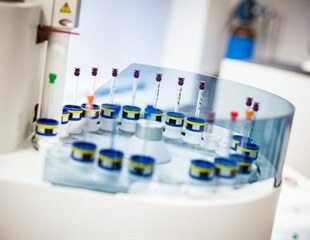 An EU-funded project helped to expand the view, developing innovative radiochemistry concepts and techniques that could lead to earlier diagnosis of diseases - saving lives. A team of researchers from New York University has engineered nanoscale protein micelles capable of both delivering chemotherapeutic drugs and of being tracked by magnetic resonance imaging. The vast majority of pharmaceuticals employed in the treatment of human diseases are of an organic nature, meaning that the active component is a molecule (or a combination of several molecules) that is constituted of carbon and hydrogen atoms. A new study suggests certain types of consumer behaviors, including flossing with Oral-B Glide dental floss, contribute to elevated levels in the body of toxic PFAS chemicals. PFAS are water- and grease-proof substances that have been linked with numerous health problems. The Deutsche Forschungsgemeinschaft (DFG, German Research Foundation) is establishing ten new Collaborative Research Centers (CRCs) to further support top-level research in Germany. Artificial intelligence (AI) may soon be used to detect Alzheimer’s disease early in the course of disease say researchers. The results of the study were published in the latest issue of the journal Radiology. A groundbreaking discovery by chemists at The University of Texas at San Antonio will have a significant impact on how pharmaceutical companies develop new drug treatments. In metastatic breast cancer, prognosis and treatment is largely influenced by estrogen receptor expression of the metastases. A novel PET tracer developed by Korean researchers can visualize joint inflammation and could provide early diagnosis of rheumatoid arthritis, a common autoimmune disease that causes chronic inflammation of joints and can lead to deformity and dysfunction. The loss or damage of myelin, a cellular sheath that surrounds and insulates nerves, is the hallmark of the immune-mediated neurological disorder multiple sclerosis. DNA evolved to store genetic information, but in principle this special, chain-like molecule can also be adapted to make new materials. Chemists at The Scripps Research Institute have now published an important demonstration of this repurposing of DNA to create new substances with possible medical applications. Natural organic compounds that contain fluorine are rare because living organisms—with a few exceptions—do not produce them. Natural organic compounds that contain fluorine are rare because living organisms—with a few exceptions—do not produce them. American scientists have now genetically engineered a microbial host for organofluorine metabolism, allowing it to produce a fluoridated intermediate known as a diketide. A group at Queen Mary University of London have now developed a very fast dissolving 'bioactive' glass which they are putting in toothpaste to repair decayed teeth. Researchers at Tokai University describe in Advanced Materials how wrapping biological tissue in a nanosheet of a particular organic material results in high-quality microscopy images. Application of the wrap prevents the sample from drying out, and hence from shrinking, enabling larger image-recording times. Researchers have found a surprisingly versatile workaround to create chemical compounds that could prove useful for medical imaging and drug development. Blood clots in veins and arteries can lead to heart attack, stroke, and pulmonary embolism, which are major causes of mortality. A new study shows that a hybrid molecular imaging system unites three imaging modalities to map the composition of dangerous arterial plaques before they rupture and induce a major cardiac event.